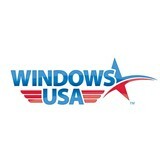 Windows USA® is a custom manufacturer of premium quality, energy efficient vinyl window and door systems specializing exclusively in the residential retrofit and remodeling market. Over the past 50 years, our company has become one of America’s largest custom window manufacturers of Energy Star® rated windows and doors. Unlike most of our competitors, our company offers a full service concept to consumers in that we manufacture, install, and service all of the products that we sell. There’s no middle man, and this means every consumer receives a premium quality product installed right the first time at a factory direct, affordable price. Southwest Window & Door Co.
SW Window & Door Co. is an Arkansas remodeling and installation service company that specializes in Windows & Doors. We sell, furnish, and install Pella products. We have built upon the principle of providing excellent customer service. We believe that the "little things" are vital to success on each and every project. Our goal has been and always will be, putting the customer's satisfaction first in all that we do. With 15 years of experience in the Home Improvement Industry for large companies, we know what it takes to meet and exceed expectations on all of our projects. We are licensed and insured to provide that peace of mind that you deserve. Give us a call today for your free quote on any of our services. Trust in the experience and strong reputation of Little Rock Glass. Get the replacement windows, doors, and custom mirrors you need from the exports. ACE Glass manufactures, fabricates, supplies, installs, and services glass and aluminum related products, including glass, mirrors, aluminum sheet metal, aluminum composite wall panel, windows, doors, storefronts, and curtain walls. Are you feeling a draft coming from your windows or your door? Is your siding starting to fade and pull away from your home? Not only can new vinyl siding, windows and doors improve the overall look of your home, but they can also help seal and insulate your home, making it more energy efficient and saving you a bundle on energy bills. These services, over time, can even pay for themselves with proper installation and maintenance. Whether you’re planning the construction of your next new home, remodeling, or just tired of needing a blanket when sitting by a drafty window in winter, you won’t find better quality and service than WinChoice USA®. Not only can we take care of new windows in your home, office, or even shop, we can also provide and install patio doors along with windows for awnings and casements. We can take care of picture windows and even accommodate custom shapes. From single or double hung windows to single or double sliding windows, we not only offer the right fit and style, we also provide a level of expert installation and professional courtesy that sets us well apart from the competition. At highway Tints we specialize in perfection, our window film can be used for privacy, safety, energy savings, and even preservation of furniture. We take pride in our work and make sure we are not over pricing and making sure any can have our services. If you are looking for a reliable window company to take care of the windows in your home, you’ve come to the right place. Our owner Mike Stinnett has served in the building materials and home improvement industry for over 35 years, creating the Windows and More company for the specific purpose of helping homeowners improve the energy efficiency and overall aesthetic appeal of your homes. Located in Cabot, AR, we are proud to serve all of Central Arkansas! Whether you’re building a new Little Rock home, remodeling an old one or just replacing a few windows that are past their prime, your window dealer in Little Rock, AR will help you pick the right windows for your needs, home style and budget. Windows come in so many sizes and types that expert advice and direction is invaluable in helping you make the best decision. These pros can also help you with custom window designs that complement your space better than something ready-made. Lastly, if you are interested in doors with windows, these experts are also knowledgeable about sliding doors, French doors and other paned portals. 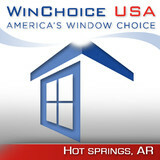 Your window pro might work closely with other Arkansas builders and remodelers as well. Here are some related professionals and vendors to complement the work of window sales & installation: Window Treatments, General Contractors, Home Builders, Specialty Contractors, Siding & Exteriors. Find a window dealer on Houzz. 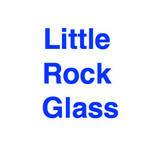 Narrow your search in the Professionals section of the website to Little Rock, AR window dealers. You can also look through Little Rock, AR photos to find examples of windows that you like, then contact the window professional who worked on them.